Where else can you go to school and have so much fun at the same time!!! Excellent overall training experience! This class brought me back to "high school days". Nothing is better when having to learn a bunch of important and tedious information - then having fun while doing it! Robert is a killer teacher. 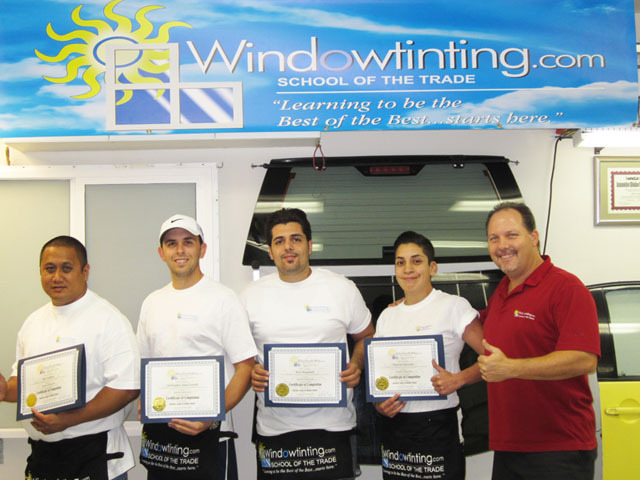 He has a great way of teaching the tinting trade and I would definitely recommend this class to everyone! Robert – Thank you very much for everything! I have to say, Robert, you made the learning experience fun, exciting and really easy to understand. Also, the way you handled all the questions I had was extremely helpful. I've never had a teacher like that, so thank you for being an awesome motivator and instructor…you are truly the reason why this course works!! !